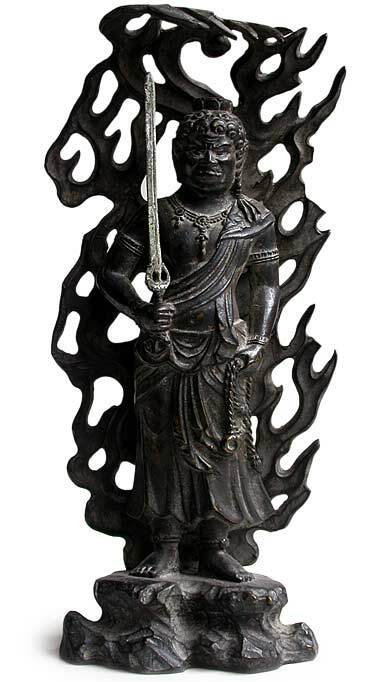 Standing atop a rock with a raging flame aureole, the statue of Fudo Myoo is holding a vajra-hilt sword in his right, which cut through negative emotions, and in his left is a rope that binds men of ignorance; a mean by which leads them to enlightenment. 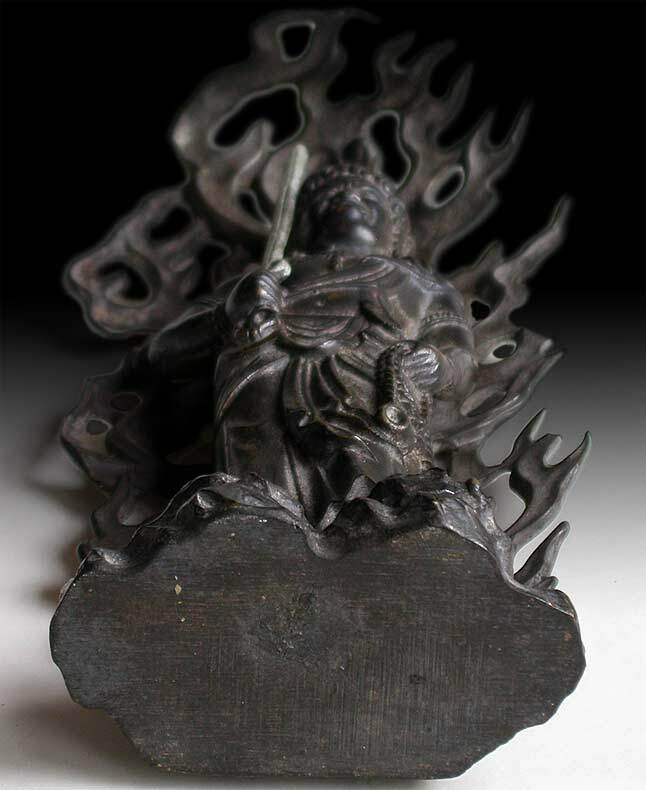 The name Fudo Myoo means motionless or unshakable like that of a mountain. 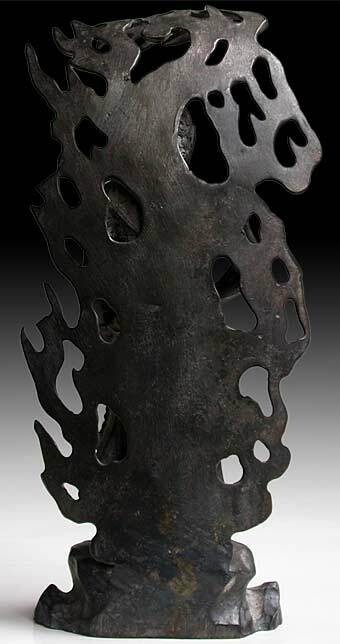 It is a Japanese name for the Buddha Acala. In Sanskrit his name means Conqueror of Three Poisons (three passions: love, hatred, and ignorance). 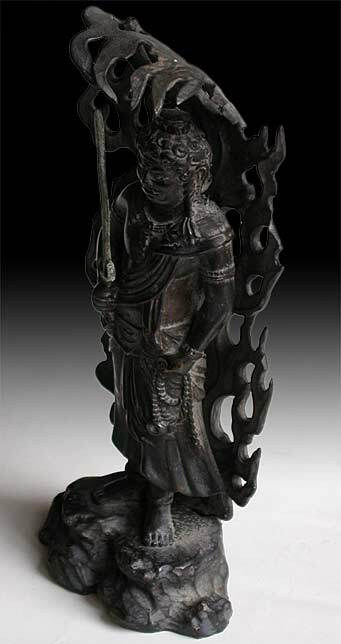 He is a wrathful aspect of Vairocana, one of the Five Great Kings of Light.